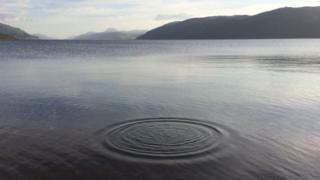 A tourism initiative says it has looked "beyond the monster legend" to find reasons for people to visit Loch Ness. VisitInvernessLochNess (VILN) Tourism Business Improvement District has been promoting the loch and surrounding areas other attractions. In a report to Highland Council, it said these include the newly-completed South Loch Ness Trail. It has also been working with VisitBritain to bring travel writers from Europe and Canada to the area. Highland Council's Inverness and area provost, Helen Carmichael, praised the work of VILN, which secured its business improvement district status in 2014. She said: "While the lure of Nessie is undisputed as an international icon, VILN are quite rightly focussing on attracting visitors to the region for other reasons such as experiencing the wonderful food and drink sector we have to offer. "I am also pleased to see that VILN are helping to expand the conference and business tourism sector and have supported a number of events in the area." Ms Carmichael said she and fellow local councillors were delighted that the South Loch Ness Trail was completed this summer, with the help of £60,000 of council funding. She added: "This now means that the South Loch Ness Trail can be linked up with the Great Glen Way to create a Loch Ness 360 Trail which will be a huge boost for outdoor tourism in the area."